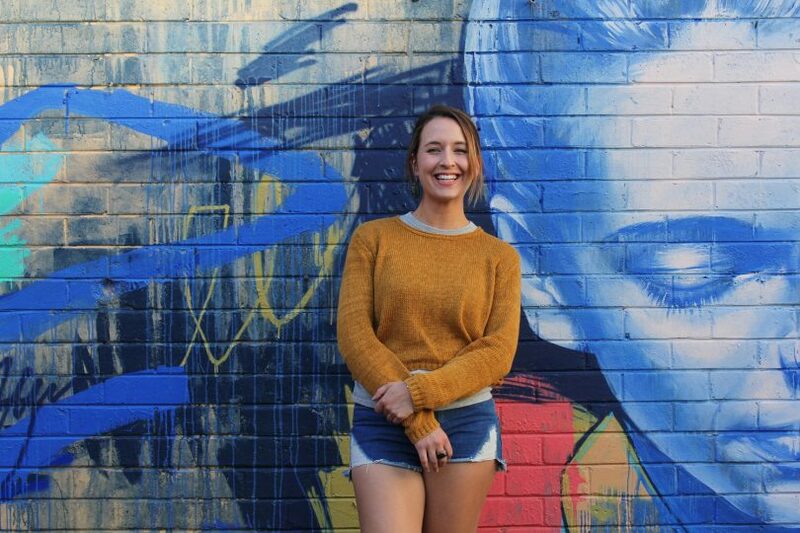 Mural artist and designer Claire Foxton has been chosen to paint the ‘face of Queanbeyan’. Photo: Supplied. An in-demand mural artist with a distinctive mix of abstract and realistic techniques has been chosen to paint the ‘face of Queanbeyan’ in the heart of the CBD. Queanbeyan-Palerang Regional Council has chosen artist and designer Claire Foxton to transform a wall of the Bicentennial Hall by creating a large-scale portrait mural of the person assessed as “truly representing Queanbeyan”. The search is still on for that person with community members having up until March 1 to submit an image of the face they believe best represents Queanbeyan, along with the person’s story (maximum 500 words). And while Queanbeyan is spoilt for choice in terms of sporting heroes, cultural icons and community champions, it could just as easily be someone who is unknown who gets the gong. It seems the choice will be based on how well their story taps into the “collective distinct persona of Queanbeyan”. Ms Foxton said she is ‘over the moon’ to be working on the mural project. “I’m really looking forward to seeing the community’s nominations for this exciting mural,” she said. 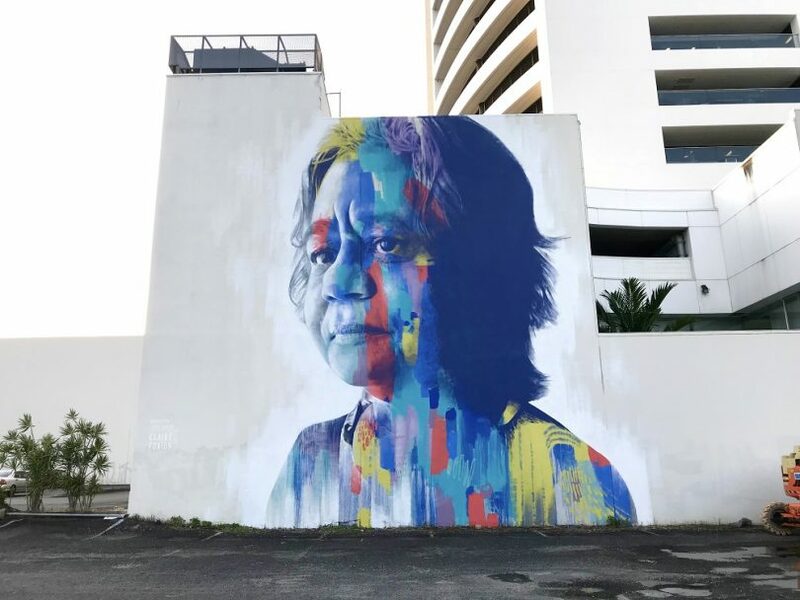 A mural of Henrietta Marie painted by Claire Foxton for the Seawalls Cairns project. Photo: Supplied. Ms Foxton is based in Jamberoo and entered the world of public art in 2016. Her signature style has led to her being in demand both nationally and internationally. Notable projects Ms Foxton has been involved in include the Adelaide Fringe Festival; Pillars Project Brisbane; Street Prints Christchurch NZ; Wall to Wall Festival Benalla; and Melbourne Central Activation. Ms Foxton uses both traditional and improvised techniques and her work is said to explore the human condition through large-scale public portraiture in spaces usually reserved for decoration or advertising. 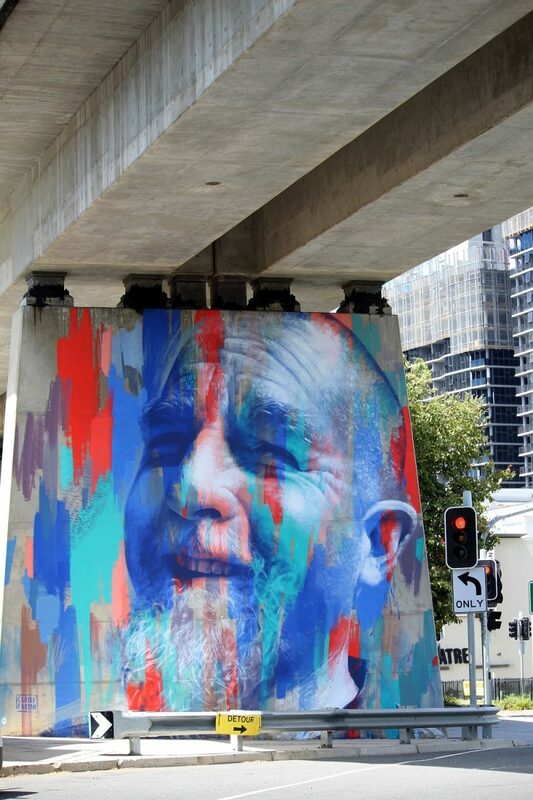 A mural of Andy Birgan created by Claire Foxton for the Pillars Project Brisbane. Photo by Dan Brock. “We are delighted to have Claire as our artist. Her style is instantly engaging, but you also appreciate her work the more you see it,” said Program Coordinator, Place Management Tracey Lamont. Anyone who knows a Queanbeyan person who has a great story is invited to nominate them to be the ‘face of Queanbeyan’. They can be alive or from the past but must have been born in Queanbeyan. Anyone within the Queanbeyan-Palerang local government area as well as people that live outside the region can enter.